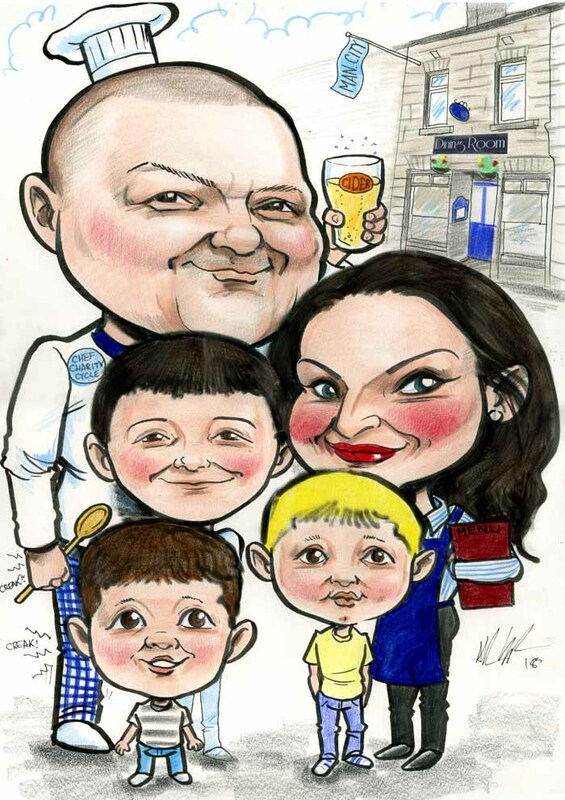 This caricature features Kevin and Shirley from Dining Room in Castlebar and was a present for Kevin. It features the restaurant in the background and many of Kevin’s interests. If you’d like to order a caricature as a going away present, a birthday gift, a unique wedding present, or an unforgettable retirement gift drop me a line today!